EAST CLEVELAND, OH (WOIO) - 150 bikes greeted a group of kids from the Greater Cleveland Sports Commission Urban Youth Initiative this afternoon. After an "energy" themed field day on June 9, the children received a workbook to test their knowledge on nutrition, physical activity, science, and the importance of sportsmanship. 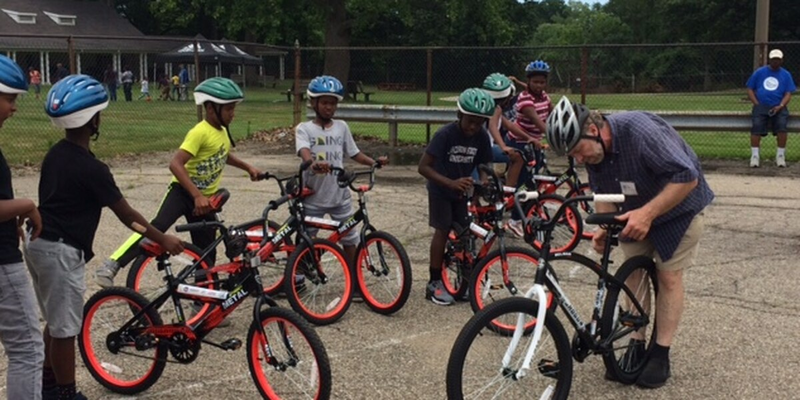 The 150 top scoring youth received bikes. The Earn-a-Bike Program is funded by NEOCycle, a division of the nation's largest urban cycling festival.